3 Beds 3 Baths 1,980 Sq. ft. 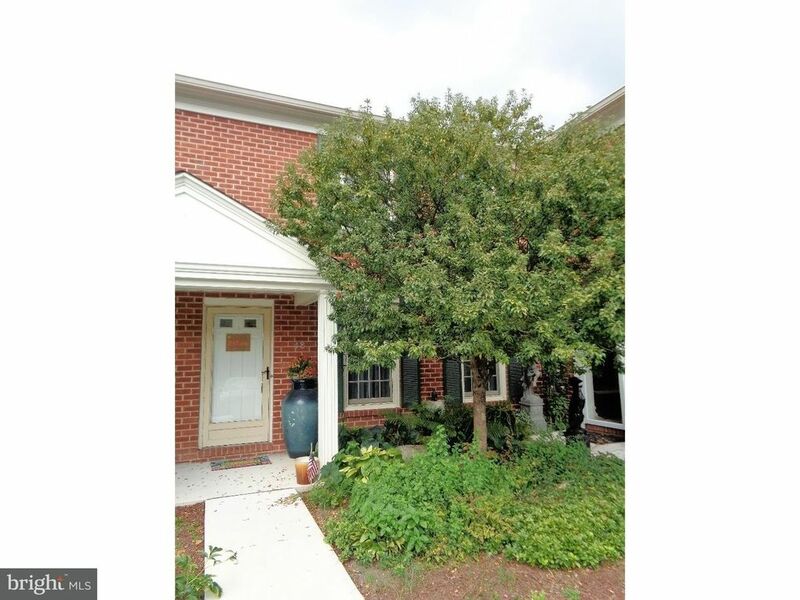 Within the established community of Ingham Mews in award-winning New Hope Solebury School District sits this classic 3 Bedroom townhome with a granite & stainless white Kitchen, Mercer tiled FP, large rooms, full Basement & Garage. Follow the colorful blooms to the cozy covered front entry. Inside note crown molding, HWF & impressive views of both the sweeping staircase & flexible floor plan. Plush neutral carpeting & neutral painted walls surround a space which can be used as a Great Rm or a conventional open Living/Dining Rm combo. Dual windows with sheers allow great natural light throughout the afternoon. The updated Kitchen, boasting gleaming granite counters, raised panel white cabinetry with crown molding tops, recessed lighting, glass front cabinetry for displaying your beloved Kitchen decor, under-mount stainless sink with arched faucet with a spray function, new flooring & pass-through to the next room, is sure to impress any gourmet. The back room is currently being used as a Dining Rm & Office, or could be a Family Rm. Charming white built-ins surrounds a wood-burning fireplace with colorful locally-made Mercer tile accents. Crown molding, double window trimmed out & ideal for a window seat plus double glass doors to the patio complete this bright room. A full Bathroom with furniture style vanity & neutrally tiled shower surround add great options to this Main Level floor plan. Follow the turned stairs through double doors into the over-sized Main Bedrm, offering dual windows, modern ceiling fan/light, dressing area lined in closets & an updated en-suite with full size shower/tub combo. Secondary Bedrooms have wood-look floor, neutral paint, ample closet space & treed views from windows. The large Hall Bath provides a luxurious raised tub with glass tile border, long white vanity & neutral tile floor. Laundry has a floor drain for peace-of-mind, storage cabinetry & overhead lighting while a walk-in closet services the Hall. The massive Basement is cool & dry, with new windows, high efficiency HVAC & 200 amp electric service. Out back you'll love relaxing & entertaining on the new concrete patio bordered by flowers with ample space for a grill, table & chairs AND direct access to the pool! Detached Garage with auto opener & outside keypad add extra space for storage or your car. Enjoy tennis, community water, shade trees & maintenance-free living here! Under 2 miles to boutique shopping in spectacular New Hope Boro & Peddler's Village!